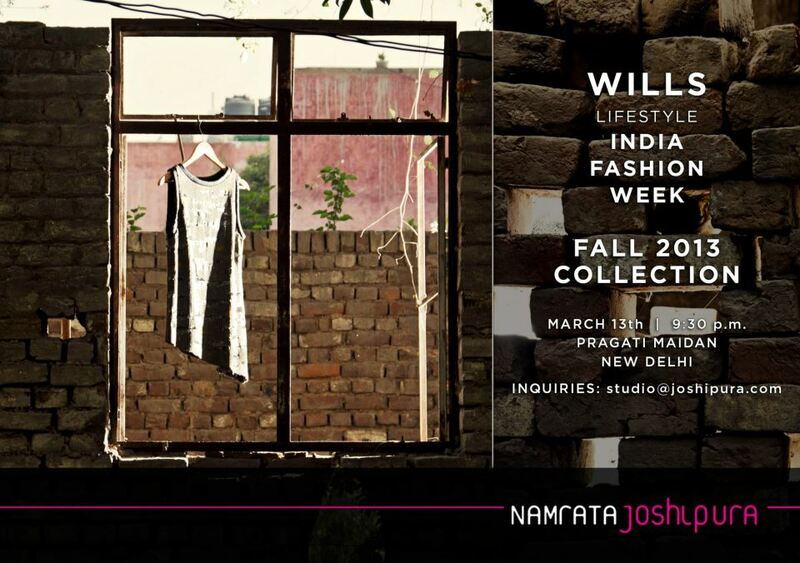 The Fall-Winter 2013 of Wills Lifestyle India Fashion Week (WIFW) kicks-off today. Pray that the designers show us real fall-winter clothes and not hide behind the overused excuse that most of India hardly has seasons or winter for that matter. If that’s the case, then opt out of fall-winter showings please. The Day 1 of WLIFW F-W 2013 has an interesting line-up. 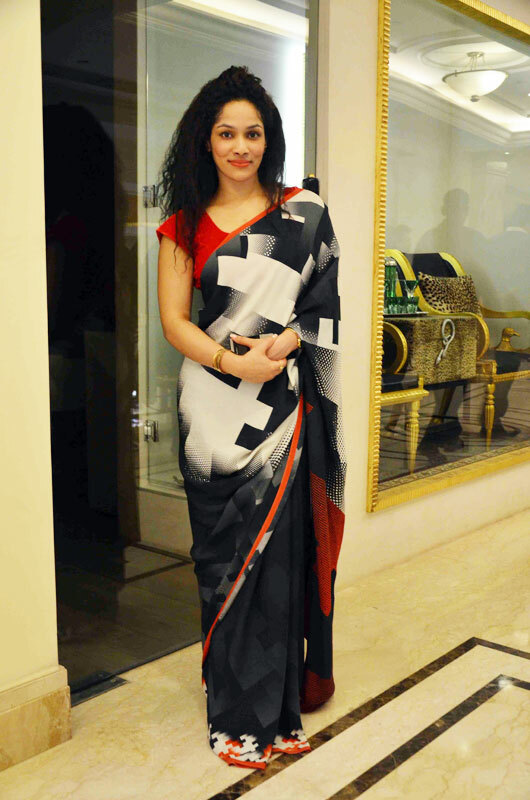 I am looking forward to Masaba’s debut collection for Satya Paul. The epic brand has first time out-sourced a creative director, post Puneet Nanda’s exit from Satya Paul. But then Pallavi, assistant designer is an old war-horse at Satya Paul with 15 years experience and Masaba is good with prints, which is Satya Paul’s forte. Guess the brand – Satya Paul’s core philosophy would be intact. 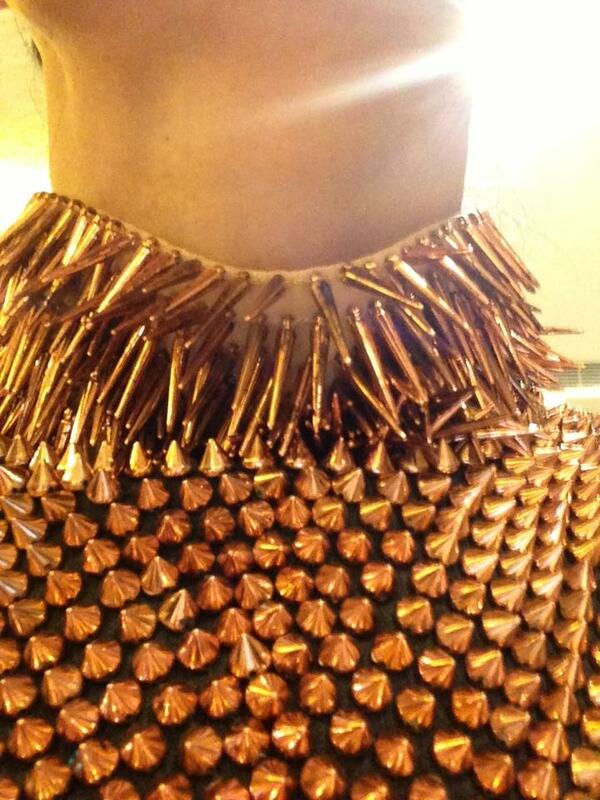 Kanika Saluja looks like will present her gold metal studded dresses that she showed sometime back at a soiree. 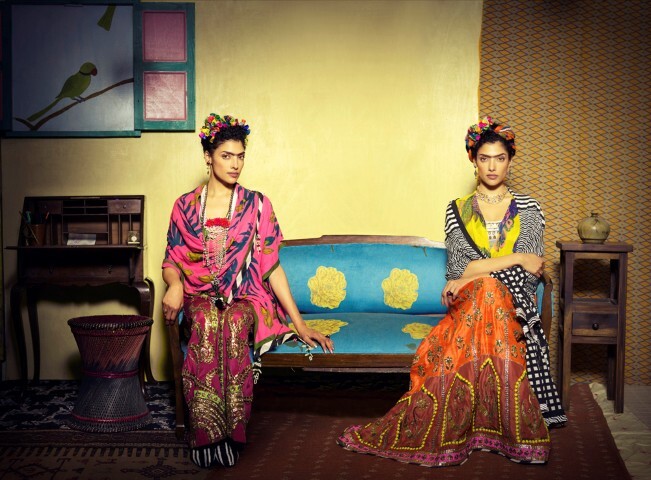 Anupama Dayal too sticking to her forte of interesting textile and vibrant colours in her ‘Ishq-e-Dilli’ collection. Looking forward to it. Vineet Bahl’s last fall-winter collection was great and I am looking forward to his show too. But I believe this time Vineet Bahl is showcasing Indian wear. And of course I am anxiously looking forward to the last two shows of Day 1 – Pankaj & Nidhi and Namrata Joshipura. Love their work as the raise the bar every season, year after year. Don’t know much about Pankaj & Nidhi’s collection (I like the ‘surprise’ element of a collection.) but have a feeling that Namrata Joshipura is going ‘Monochromatic’. Can’t wait to feast the eyes on them!